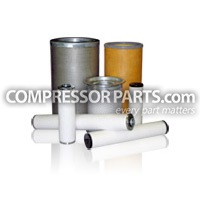 CompressorParts.com products are 100% OEM compatible and meet or exceed OEM specifications. Brand names and logos listed are for references only. CompressorParts.com proudly offeres high quailty, after market products as value priced alternatives to the parts and products sold by original equipment manufacturers. We are confident you will be completely satisfied and find our products to be fully equivalent in specification performance to the OEM products which we identify for your convenience on this site. We have no relationship with any of the OEMs identified on these pages, and we have no incentive to promote one OEM over another. Our substitute products are not made, tested or edorsed by the respective OEM indicted as the supplier of the product for which we sell an after market alternative. ©CompressorParts.com All Rights Reserved 1997 - 2018. All compressors, parts and oils along with their images and logos on this website are trademarks of their respective manufacturers. CompressorParts.com makes no claims of special affiliation with or special sanctions by the original manufacturers or their respective trademarks. The appearance of those names is not intended to imply that CompressorParts is an authorized dealer or distributor of these manufacturers.